After countless conversations with coaches and members on how to make our gym better, and how we can better help all of you reach your fitness goals, I have come up with a plan, that I am convinced would be catering to the needs of our well diverse group of athletes. C is for “CrossFit Workout of the day”, and also for Class. 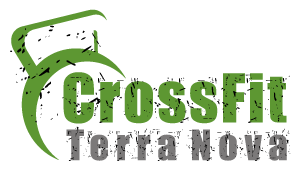 This will be a typical CrossFit WOD, just like the once that we have been programming for the past three plus years, which includes, on a regular basis, a strength or skilled element. This is the workout that will be written on the white board, and the class that will be led by a coach. F is for “Force”. Here is your chance to improve your lifting technique and definitely increase your strength. We are going to start with a simple and basic 60 day Olympic weightlifting program, and then continue with programs that will allow you to get PR’s left and right. T is for “Team”. We will be posting fun team/partner workout every day, so you and one, or two, or three of your fellow athletes can join forces and complete this workout. N is for “Ninja”. This will be a cardio- based workout, just like the ones that we have been programming on Fridays. I personally would recommend completing two of our four letters every time that you come to the gym. T and N should only take an extra 15 to 20 minutes of your time, while F, well, that might take a little longer. And as always, we are open for suggestions, and definitely ideas for our Cs. And do not worry, of course you can continue following whatever programming you wish. There are amazing programs out there and, as you know, our goal has always been to see you reach your fitness goals anyway possible.